ANZACATA is a member-run organisation. Each year at the AGM, the professional members elect seven of the nine members of the Board. The other two members can be appointed. 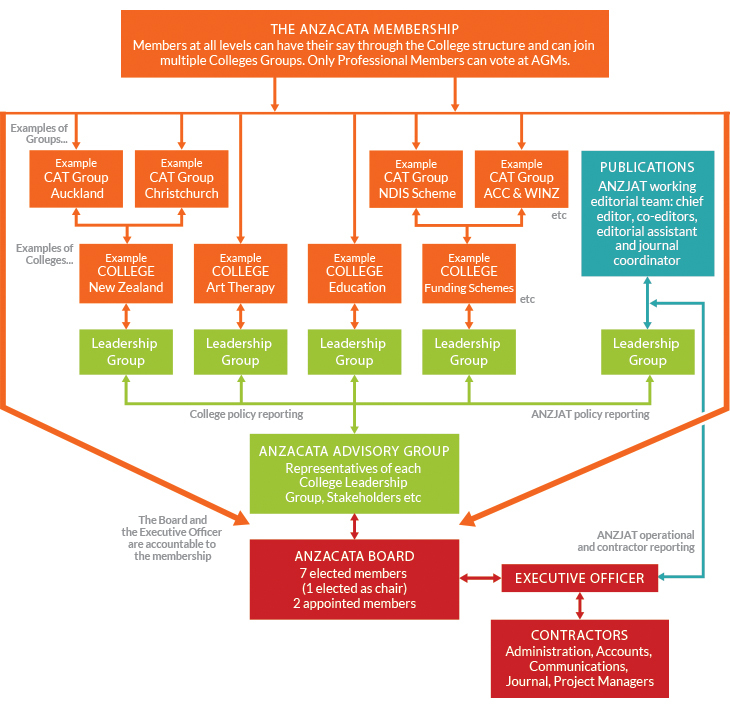 ANZACATA operates specialist ‘Colleges’ which operate autonomously with the support of the association. A College can be based on region, creative modality, or special interest. Each College can include CAT (Creative Arts Therapy) Groups. CAT Groups can also operate as a stand alone group. Representatives of the Leadership Group of each College will be invited to the Advisory Group to advise the Board.